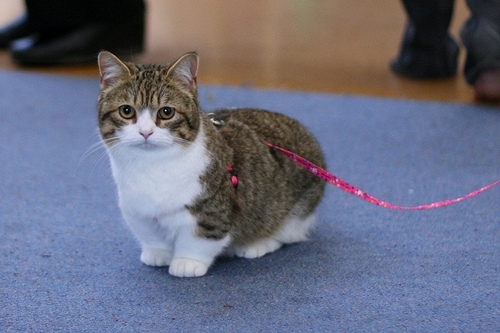 Munchkin cats are short legged cats known for its speed and racy nature. They are a bundle of energy and run like a race car. 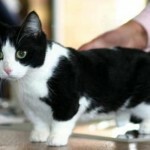 At first glance, you may wonder whether this breed is handicapped owing to its short legs. 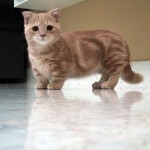 But people who know them can understand that munchkin is a bundle of joy. 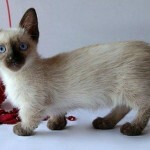 They are outgoing and confident and would love to entertain children and other pets. 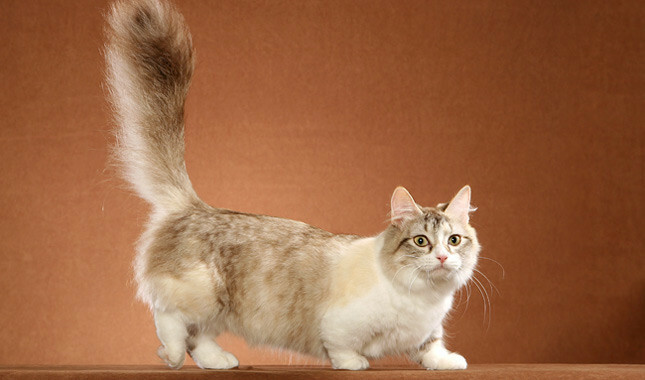 Munchkin cats are known for its racy speed and chasing nature. 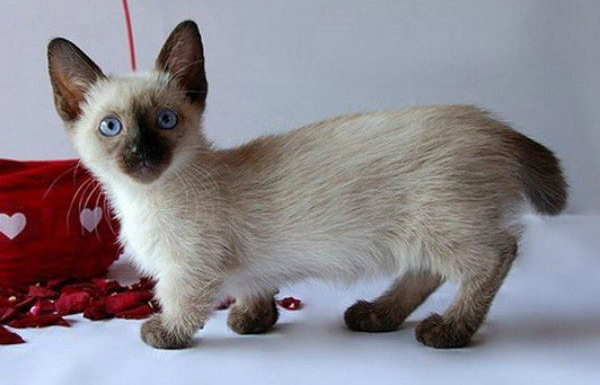 They are very curious and extremely playful. 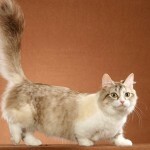 They have the ability of sitting on two hind legs like a rabbit. 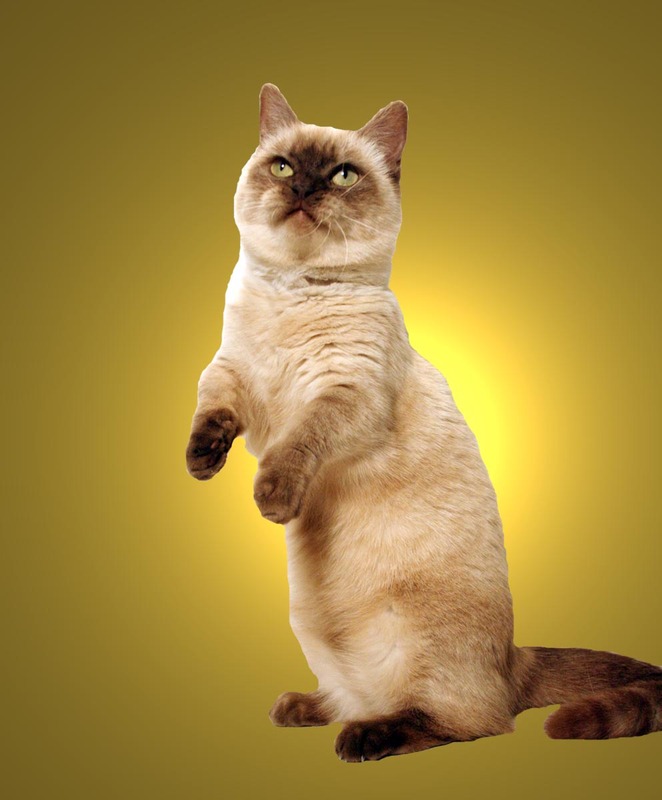 Due to their short stature, they may not jump like other cats but when given chance they have their own method of doing any task. 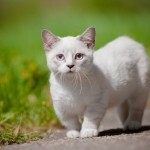 Munchkin is small sized and even a fully grown healthy cat weighs anywhere from 6-9 pounds. 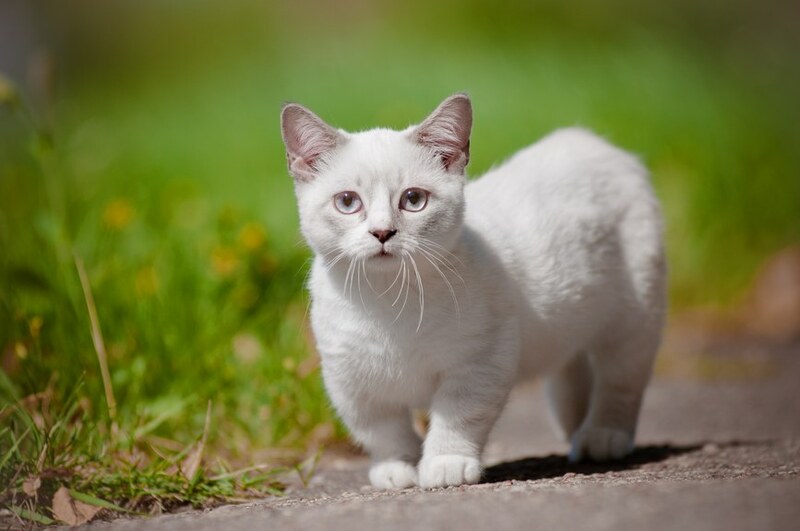 In contrary to their short composition, Munchkins are very active and outgoing. 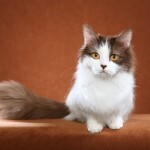 They are highly social and self assured and mingle with dogs and other pets at home, irrespective of their height. They are capable of keeping your children busy with chasing games. 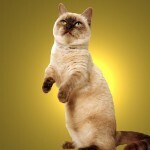 One shortfall in this breed they cannot jump to the top of the bookcase like other cats. 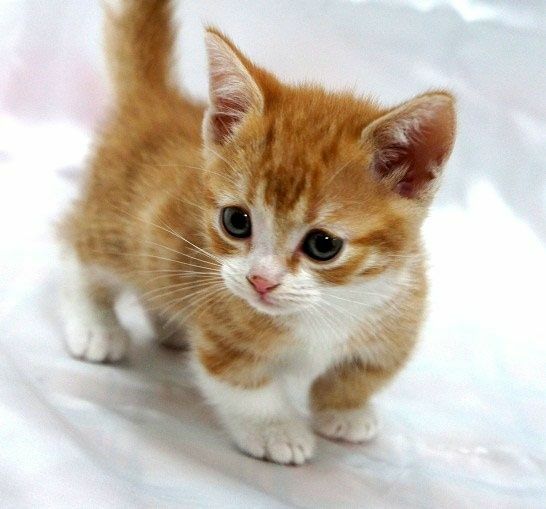 As long as you are affectionate to them, they don’t feel they are different. They are fond of shiny toys and glittering objects and often hide them at secret places for playing later. For this reason they are like ‘magpies’. 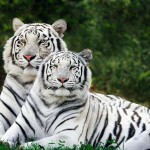 If trained properly, they can become professional hunters. 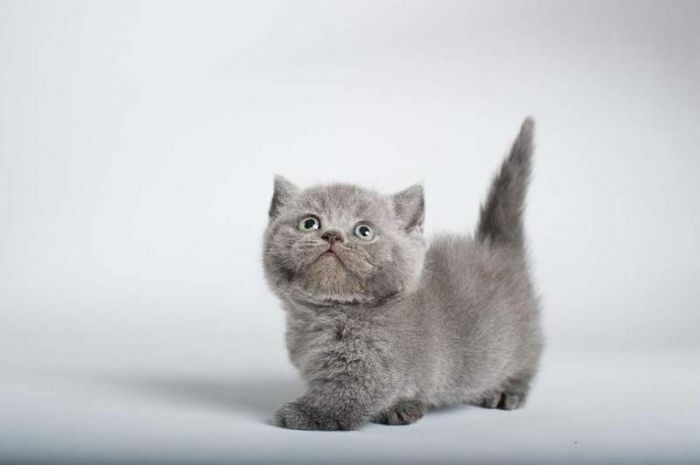 Munchkin sits up on their hind legs when they are in happy mood and also for getting a complete view of some interesting objects. 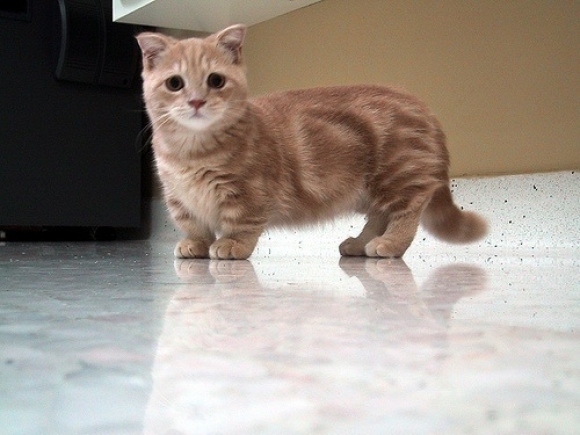 Munchkins come in varied colors and coat lengths. 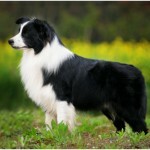 Some have lengthy coat with hair and some have short coat. 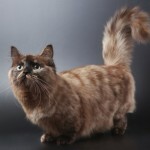 Now it is possible to have the desired color and pattern for your kitten by outcross breeding. Similarly you can add specific feature in it which can make your desired pet unique version. 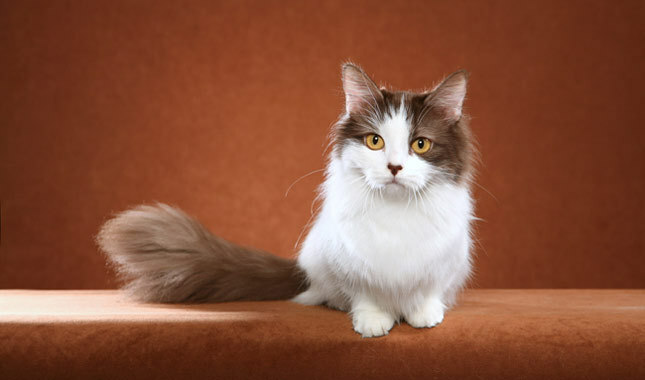 Longhaired Munchkins have silky and plush coat whereas shorthaired ones have medium luxurious coat. The coat so designed is suitable for any weather. 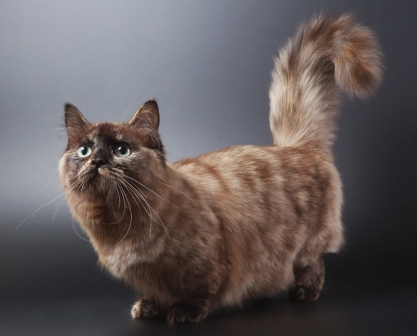 Munchkins are small in structure and not weigh like other cats. 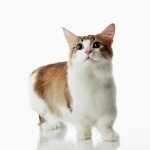 They have very short legs like rabbit which enables them to sit up with hind legs extending front legs before. 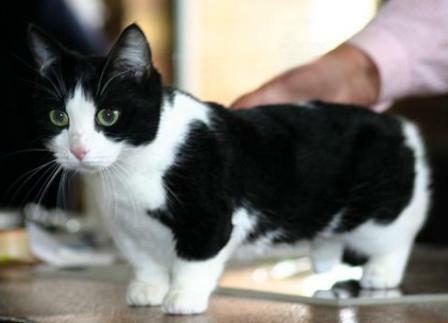 It comes as the outcome of natural mutation and these short legs do not look different for Munchkins. 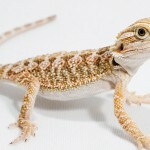 They do not get any spine problems because of the size of their legs and it helps them to run with racing speed. 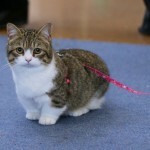 It is easy to take care of this short-legged cat. Comb their hair at least one time for a week so that you can clear off dead hair. In case you own longhaired ones then plan for combing 2-3 times a week. 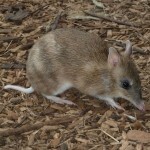 If you are lethargic mats can grow on the coat causing itching of skin. 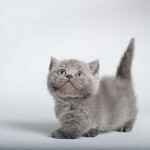 Munchkins are the ideal choice for you if you prefer less maintenance and care for your pets. They can be perfect companion for your children who are highly energetic. 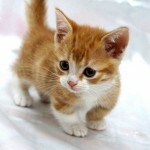 They are self enjoying and playful that befriends your cat friendly dogs also.